Year after year, we lose many youth to the enticements and sophistries of the world. As a bishop, counselor, and parent, Kevin Hinckley has watched the painful process of rebellion occur over and over as he has worked to help those who are scarred by sin to come back. From a foundation of gospel-based concepts and clinical experience, he identifies things parents can do to avoid the heartache of rebellion — and offers help and hope to parents of children who have already strayed. Sharing experiences from other parents, he shows how to teach children to rely on divine guidance as they confront the challenge of growing up in a world that seems bent on their destruction. This book presents practical solutions and profound insights that will help any parent fulfill this most sacred of all responsibilities. I will keep this book on my shelf for years to come, referring to it several times. Raising 4 children with completely different personalities is difficult. This book gave me confidence that I needed, reminding me that our Heavenly Father is there for us as we parent his children. I would recommend this book to everyone, Parent, Grandparents, Teachers. Everyone can benefit from this book. After reading a handful of parenting books and still feeling "lost", I came across this one. It is one amazing book! 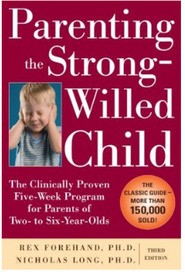 One doesn't need a "strong-willed" child to get something out of this book. The whole concept of "divine-esteem" rather than "self-esteem" is perfect! I would highly recommend this to anyone. Old parent and new. Great combination of parenting styles, child personalities, and gospel teachings! This book contains a wealth of information including: how Heavenly Father Teaches, 6 unique parenting styles, 4 personality styles, individualized discipline techniques, child self-evaluation questions, addiction recovery steps, and the purpose of parental discipline. I would recommend this book to parents with children of any age or personality type!